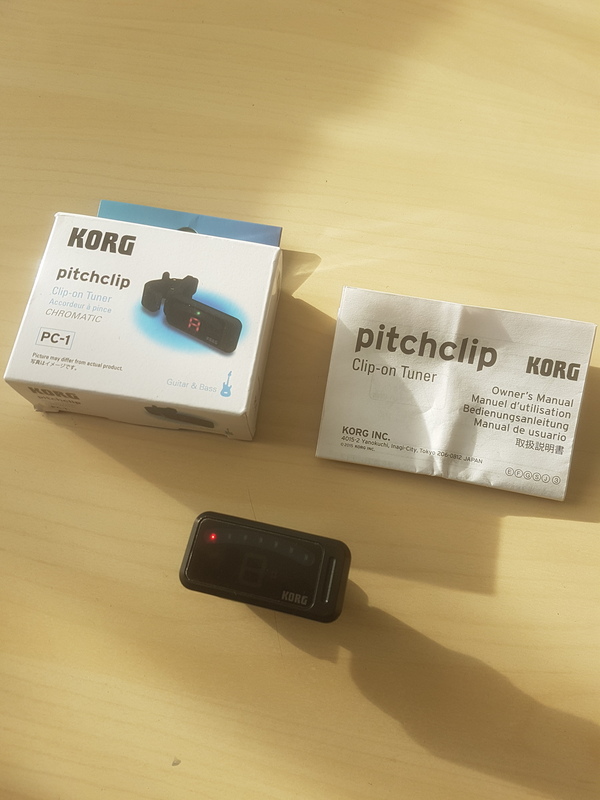 PC-1 Pitch Clip, Tuner/Pitch Pipe/Tuning Fork from Korg. quinine4's review (This content has been automatically translated from French)" The rapid small"
I use it mainly on acoustic and classical guitars. On 5-string bass, I am amazed by its fast responsiveness. This tuner is very useful for tuning daily tuning indication is clear and sharp, clearly visible. 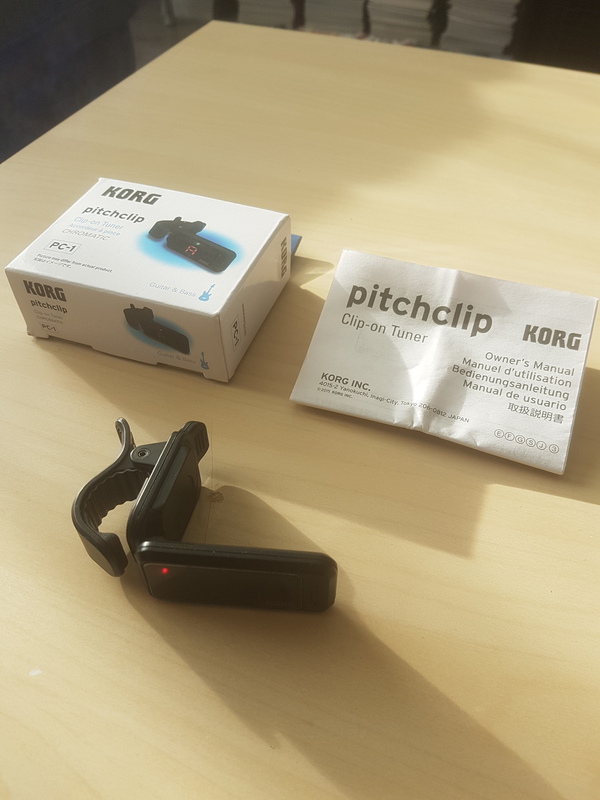 Korg pitchclip this is not done for settings clarification hair hundredth. 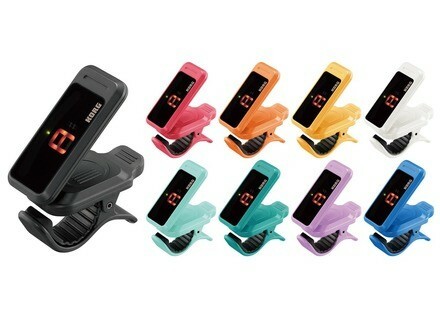 This tuner seems correct design and should last. The lifespan of the battery is still me -heureusement- unknown. The price is ridiculously low. The pocket-sized I needed. I'm happy. MetalDerf's review (This content has been automatically translated from French)" Simple and effective." I use it almost daily for a month now. Absolutely nothing negative to report. 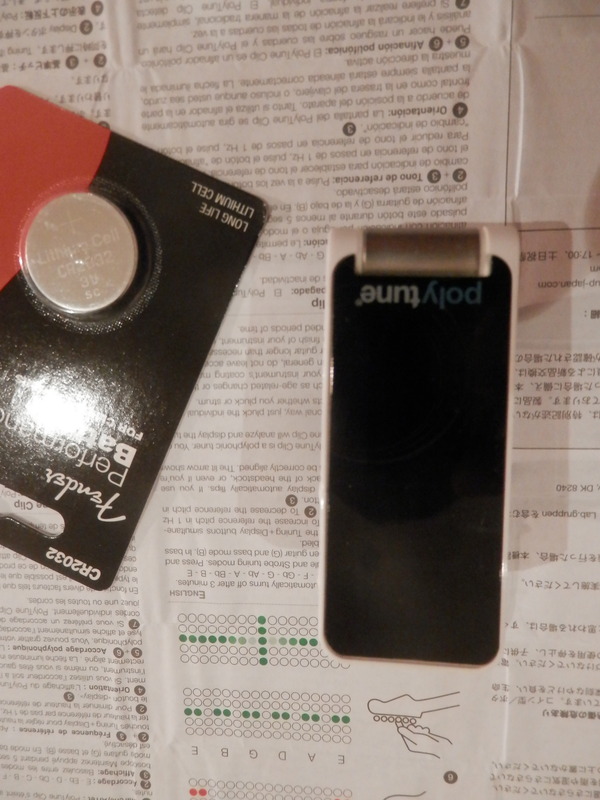 It is not easy to use: it is turned on, a rope is scratched, the note is displayed and adjusted according to the LEDs. It is not instantaneous but nothing alarming. There is no option, it is 440 Hz and nothing else. Playing mostly at home, I did not have the need for a pedal tuner and I was tired of unplugging every time bass guitar or to give me a plus not great clarity on the classic tuner that I was using before. Then I pinch the object on the head of the instrument, I turn left and Hop. In conclusion, this is good: simple to use and effective. 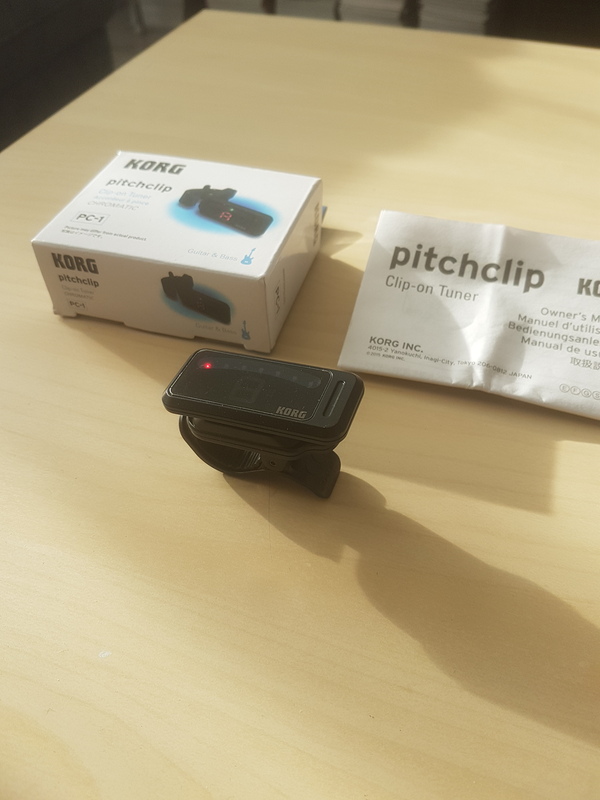 Korg has expanded their clip-on tuner lineup with the PC-1 Pitchclip chromatic tuner, now available.